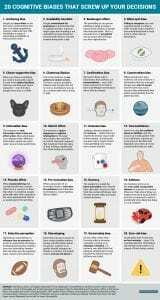 Humans like to think that every decision we make has a completely rational basis. We believe good reasons exist for the food we eat, the political beliefs we hold, and the choices we make at work…but do they? 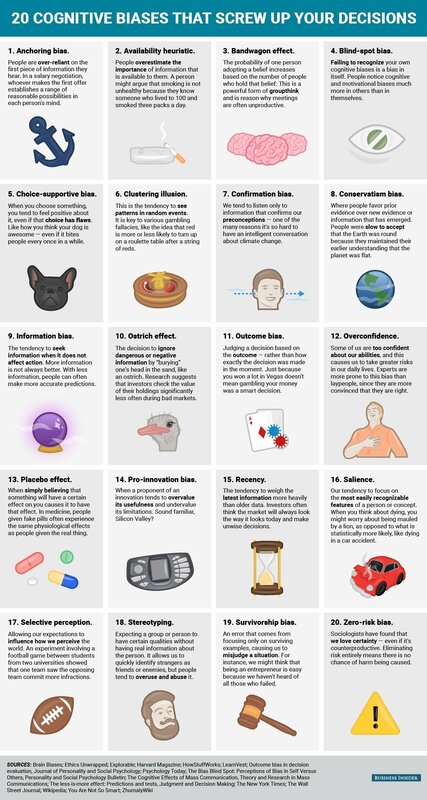 Recently I came across a fantastic infographic by Samantha Lee and Shana Lebowitz at Business Insider, summarizing 20 different ways cognitive biases influence our decision-making abilities. A lot of these come into play when people make investing decisions (and when they decide to follow expert financial advice). Which three can harm you the most? The financial media’s bread and butter is insisting that patterns exist in random events. 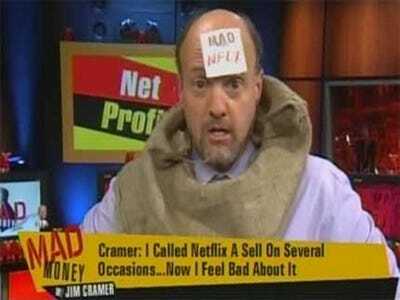 The “expert” on TV explains that recent market behavior means you should invest in a particular investment. “A respected economist” displays charts to demonstrate that investors should fear the future. A slick salesman tries to convince you that his system can help you time the market and make a fortune. It is tough for the human brain to accept that some things cannot be predicted, even with the most powerful supercomputers. The vagaries of market movements falls in this category. If someone figured out how to accurately predict the market (they haven’t), you would never hear about it because a smart person would keep that advantage to themselves! Lesson: Rather than trying to predict the market, the smart investor bases decisions on empirical evidence and has a third party hold them accountable. Billions of pieces of information sit only a simple Google search away. TV stations must fill 24 hours a day, 7 days a week with content. Magazines have to write articles to fill the space between advertisements. Even this blog post provides you with more information (though I am sure you would agree this is by far the best). As humans we tend to think that new information means we must take action or adjust our behaviors. “If I did not know this information before”, the logic goes, “then my prior decisions could be flawed! I must DO something!” Following this philosophy will likely only result in 1) less money saved for the future and 2) a twitchy anxiety that can only be fed by watching egomaniacs yell on TV with noisy buttons and sound effects. Lesson: Active traders underperform disciplined investors. Use an evidence-based strategy, stick to it, and ignore all of the screaming and yelling trying to gain your attention. A skilled financial planner may provide guidance that challenges your status quo. Common beliefs about investing, about insurance, and about legal and tax strategies often fall apart when subjected to academic scrutiny, or at least receive an “Incomplete” grade. Lesson: Be receptive to new information and ideas. Challenge them and their sources, but be aware of your own biases and be willing to accept the advice of a trusted expert.